mylocalsalon is a revolutionary online directory that will completely change how you find and book appointments at salons and spas in your local area. Need a manicure or beauty wax but can't get into your regular beautician? Looking for a child-friendly hairdresser? Maybe you want to spoil yourself or someone special with a trip to a day spa. 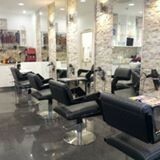 mylocalsalon is here to help you find and book an appointment online at a hair or beauty salon near you. We are good at all type of hair style and Men's Ladies hair cut with cheap and reasonable price. Our team has a lot of experience as well. Best quality hair extensions in brisbane! don't delay call now! From experience comes quality. The partnership of Anton and Blair brings to James Street a premium hairdressing experience. Warm, welcoming, a place of atsmosphere and character. A place of enhanced hair styling. Luscious Locs provides an in studio or mobile service, servicing Brisbane, Sunshine Coast & the Gold Coast to provide the latest 100% human hair extension system at an affordable cost - Usually half the price of other salons. Latest non-damaging hair system used. Call for a free consultation. Belles HAIR SKIN BODY is a hair and beauty salon located in the Bell Bros Building, 5y Brunseick Rd, Fortitude Vslley. We offer... ? Hair services (cutting, colouring, styling) ? Wedding and formal hair. ? Hair extensions Phone 0422763942 or visit www.belleshairskinbody.com to request a booking.